Outstanding collection of songs recorded between 1998 and 2004 by sadly departed San Francisco pop darlings The Fairways. One of the most beloved bands on the international pop scene, the band produced highly melodic songs coupling jangling guitars, piano, organ, flute and strings with the melancholic voice of lead singer Brent Kenji. 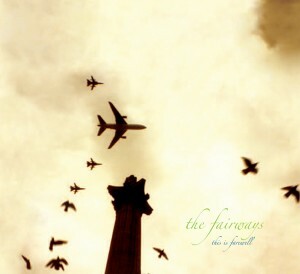 In one energetic burst at the turn of the century The Fairways released a brilliant debut single and album, contributed tracks to several international pop compilations, toured the USA and Japan, and placed a song in a mainstream Miramax film. Despite glowing reviews and an ardent following across the globe, the promise of a highly anticipated second album never materialized and the band drifted apart. While bassist Jen Cohen played in fellow San Francisco hitmakers The Aislers Set, Kenji went on to form the celebrated Matinée duo The Young Tradition. The 13 tracks on this swansong CD include eight previously unreleased songs that formed the basis of that elusive second album, two tracks from their sold out 'Darling Don't You Think' 45 on Matinée, a song from a limited split single with The Aislers Set, and two tracks from a 2001 tour CD. In addition to signature Fairways originals, the album includes covers of select songs by Japanese pop group Three Berry Icecream, venerable American songwriter Walter Donaldson, and Scottish indie legends Jesse Garon and the Desperadoes. This is Farewell is a modern indiepop classic and a wonderful way to say goodbye to a truly remarkable band.